Every proposal I'm making, every idea I'm advancing has a single, central purpose: to revive a failing economy and give working Americans the help and security they need. 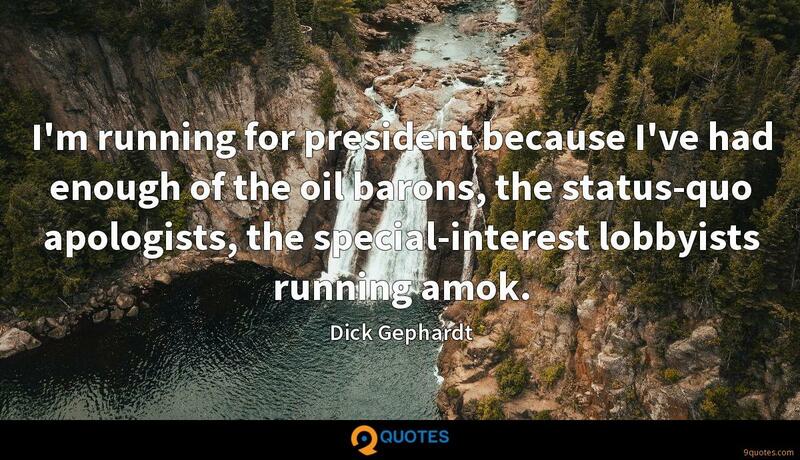 I'm running for president because I've had enough of the oil barons, the status-quo apologists, the special-interest lobbyists running amok. I think in some cases busing did improve the situation in some areas; in some cases it didn't. We had busing in St. Louis, and it has been ended and we are using other methods of trying to better integrate the schools. I filed a brief as a friend of the court in the U. of Michigan to keep affirmative action at the U. of Michigan, which I attended the law school. And I was one of the original sponsors of making the Martin Luther King birthday a federal holiday. You know, when you're in public life, everything you do is out there. 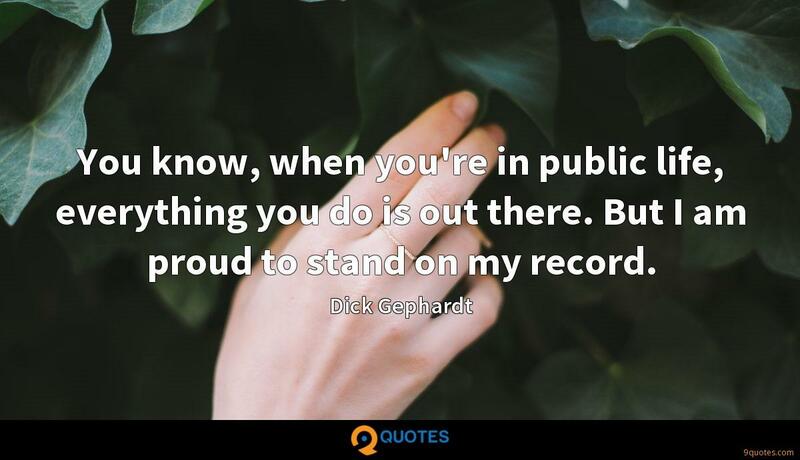 But I am proud to stand on my record. You don't lock into a ten-year family budget. You take it a year at a time - maybe even six months at a time. 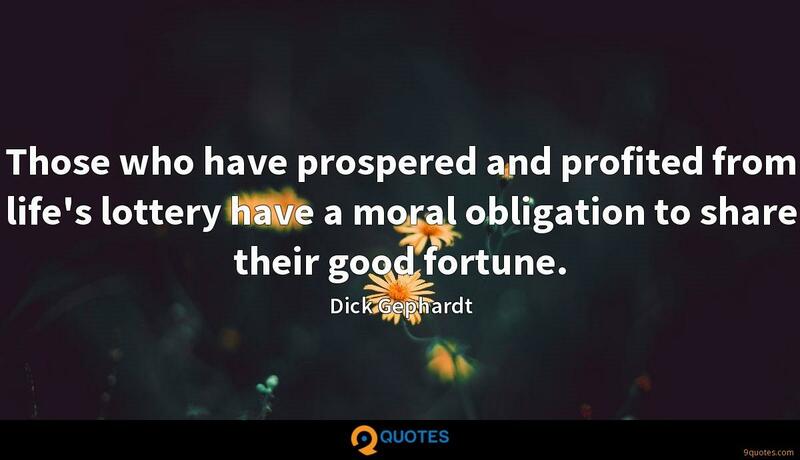 And then if the income really comes in the way you hope it does, then you can make some of those expenditures that you've been waiting to make. 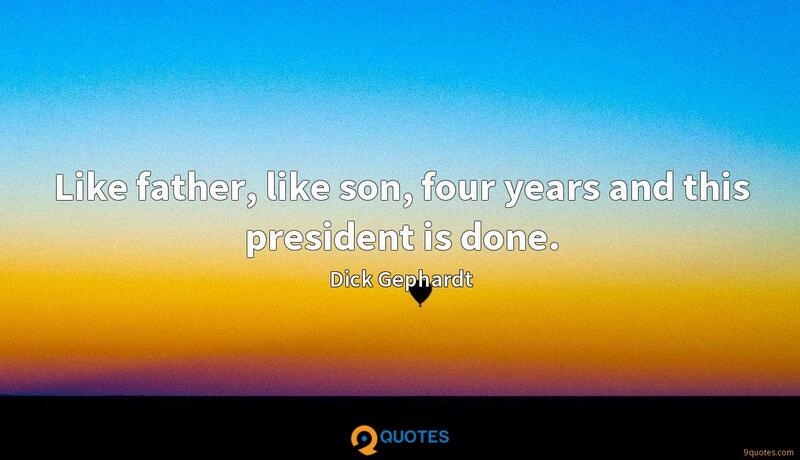 We think that same principle should apply to the national family we call America. 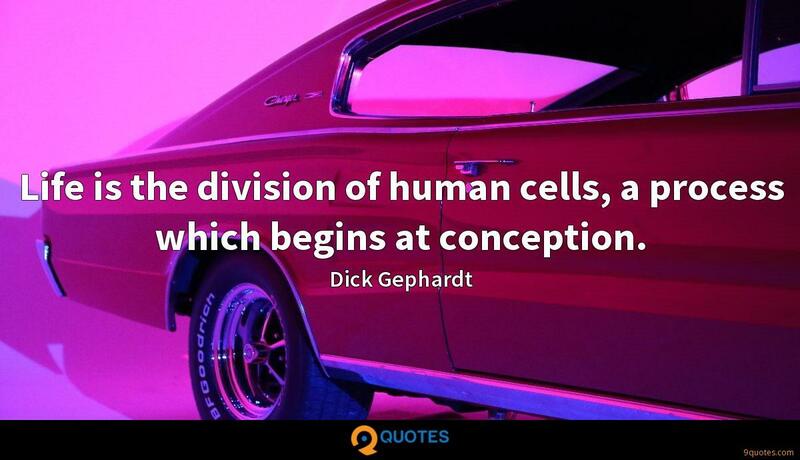 Life is the division of human cells, a process which begins at conception. If the economy is still going forward, even at 40 miles an hour, 50 miles an hour, I think most people will stick with President Obama. 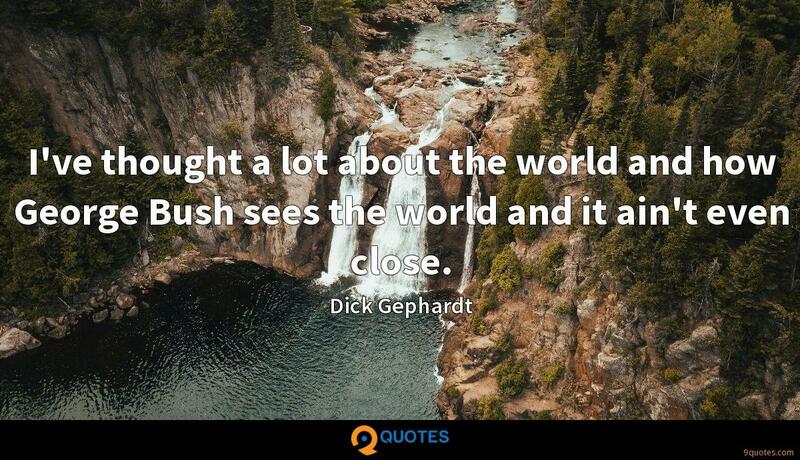 I think people look at politics like they hire a plumber. I hire you to fix the bad pipe. If you fix it, I'll rehire you. If you don't fix it, I'm not going to rehire you. 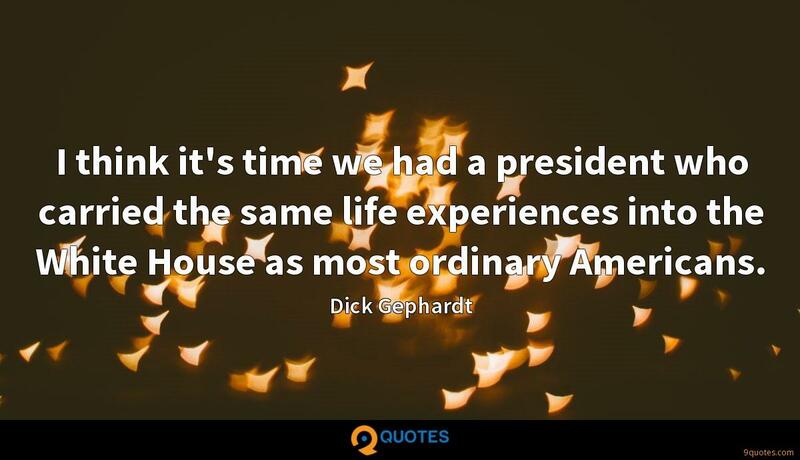 I think it's time we had a president who carried the same life experiences into the White House as most ordinary Americans. In 1988, as an unknown candidate, totally unknown, I won Iowa, came in second in New Hampshire, won South Dakota. I was ahead in every Super Tuesday state the day after South Dakota. The only problem was I didn't have enough money. I had a million dollars left, and Al Gore had three and Michael Dukakis had three and it was lights out. 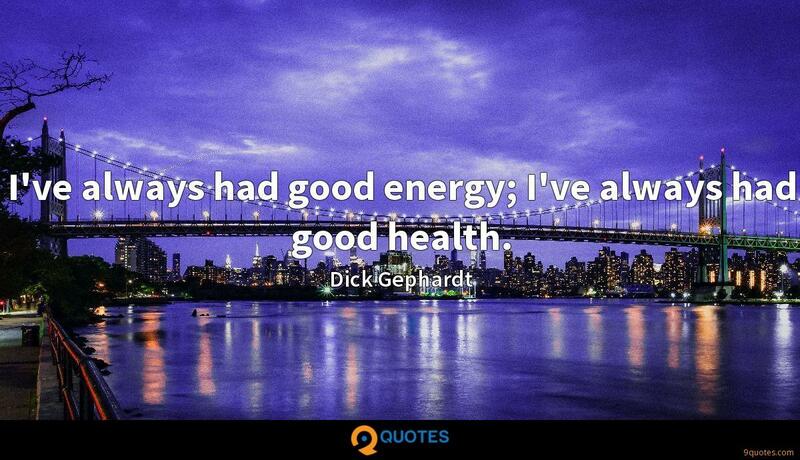 I've always had good energy; I've always had good health. My mother used to say, 'You gotta exercise.' She would really pound on me to exercise every day. She was very physically fit; she was on the basketball team in high school in St. Louis in the 1920s, when women didn't do that. And she taught me to play tennis, taught me to walk and run, and I ran for 30 years pretty religiously. 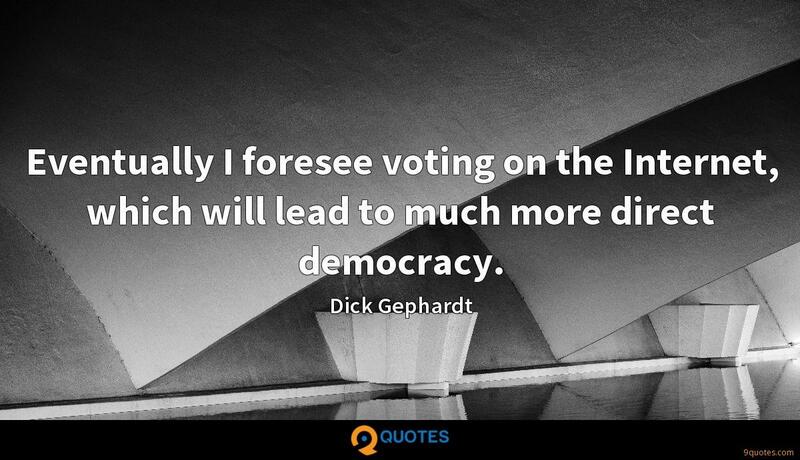 Democracy is interactive... 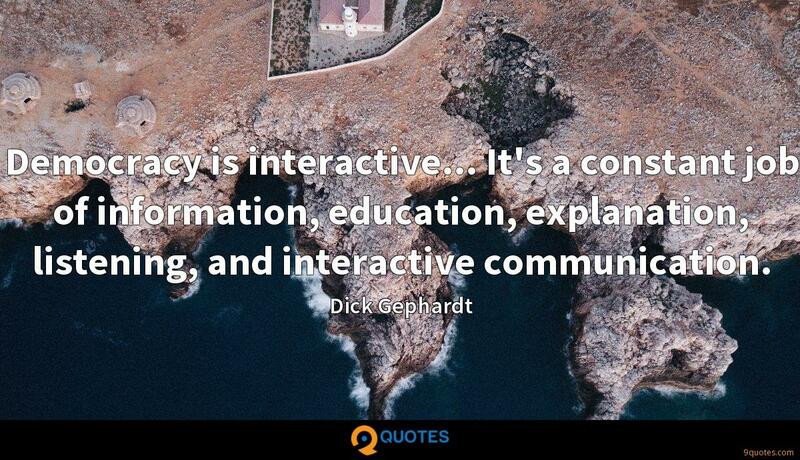 It's a constant job of information, education, explanation, listening, and interactive communication. 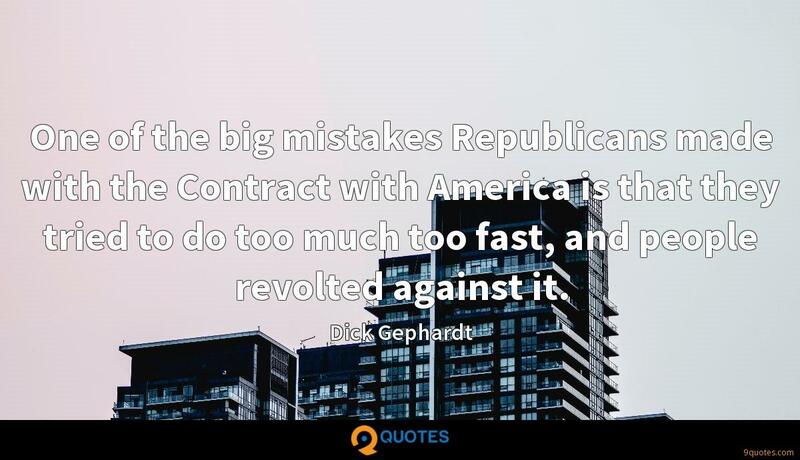 One of the big mistakes Republicans made with the Contract with America is that they tried to do too much too fast, and people revolted against it. Unlike the Contract with America, which was created by Washington pollsters and insiders, Families First was developed from the grassroots up. 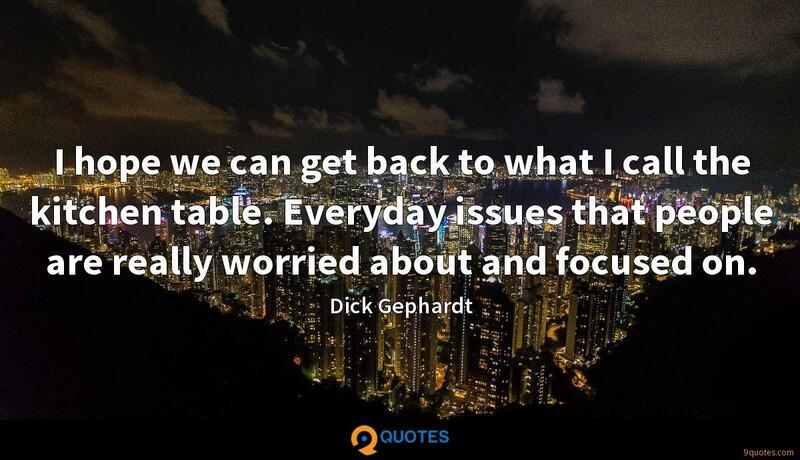 Congressional Democrats from across the country spent months meeting with people back home, asking them what issues were important to them, and what Congress could do to make their lives a little easier. Tom Daschle and I worked together on Families First every step of the way, making sure that Democrats in both the House and Senate were involved in putting the agenda together.